Hey Everyone, hope you are all good and are enjoying this glorious weather we are having at the moment. If you are living in the UK then I'm sure you've all been making the most of the heat. Today I thought I would talk to you about my current must have beauty products. These are all products that I cannot live without daily or at least every couple of days and are also products that I think you need to get your hands on. As you can see there are quite a few products so I hope you enjoy this post. Real Techniques Buffing Brush: One of of my absolute staples. 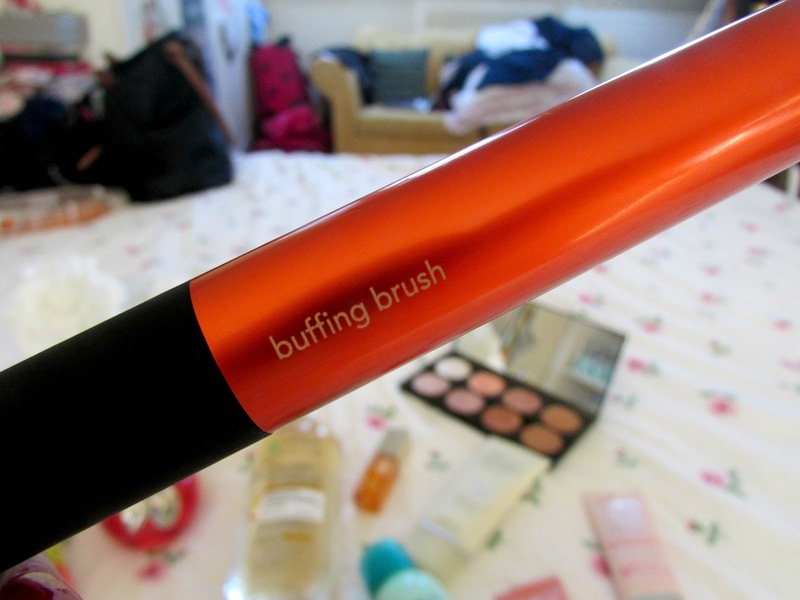 I absolutely love the real techniques brushes however I'm obsessed with the buffing brush as I think it's perfect for applying foundation and giving really even coverage on your face. It's definitely a make up brush I keep repurchasing and I would highly recommend them to anyone. Soap and Glory Sugar Crush Body Wash: The Sugar Crush scent from Soap and Glory is one of my absolute favorite scents. It's just the perfect shower gel for the summer season infused with citrus, lime oil, and a omega rich veggie oil that means your skin is super soft when you step out of the shower. It also smells like sweet lime and brown sugar. Bonus! 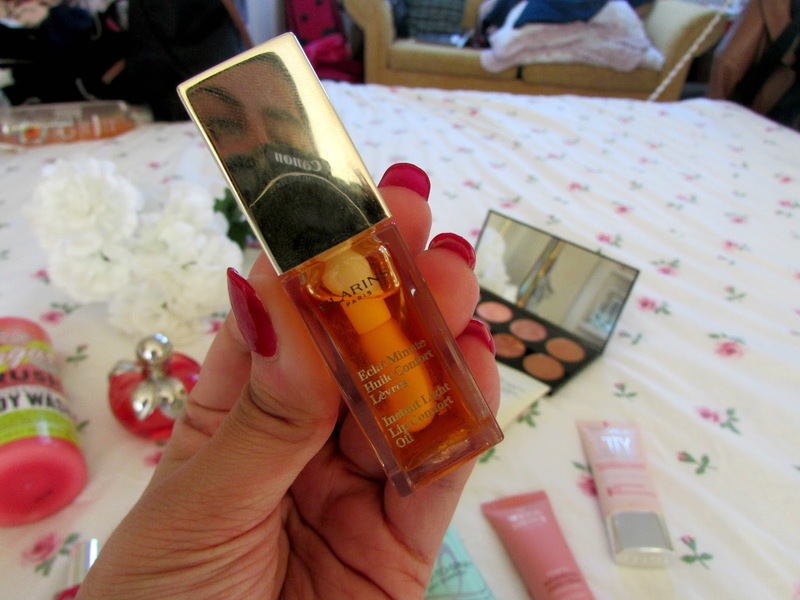 Clarins Lip Comfort Oil: I recently did a post all about this amazing product which you can find HERE so I won't go into too much detail but this oil is absolutely amazing. It really nourishes your lips and leaves them feeling really hydrated and protected and it also smells like honey. What more could you ask for? 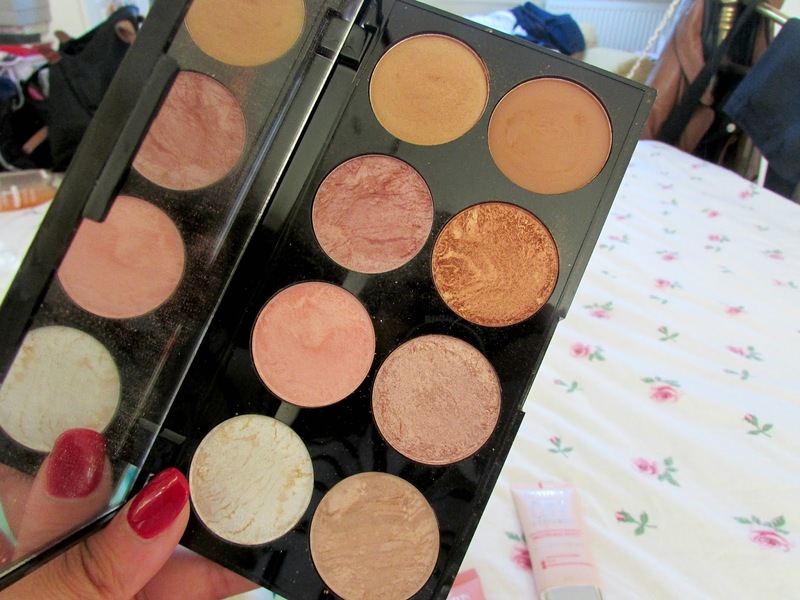 MUA Blush Palette In 'Golden Sugar': Isn't this the most gorgeous blush palette that you have ever seen? I just love the colours throughout it. Obviously I don't use the very light shades because I don't think that they suit my skin tone that well, However the pink/purple shades are just incredible and really add a pop of color and are just perfect for during the day or the night time. I absolutely love this palette. 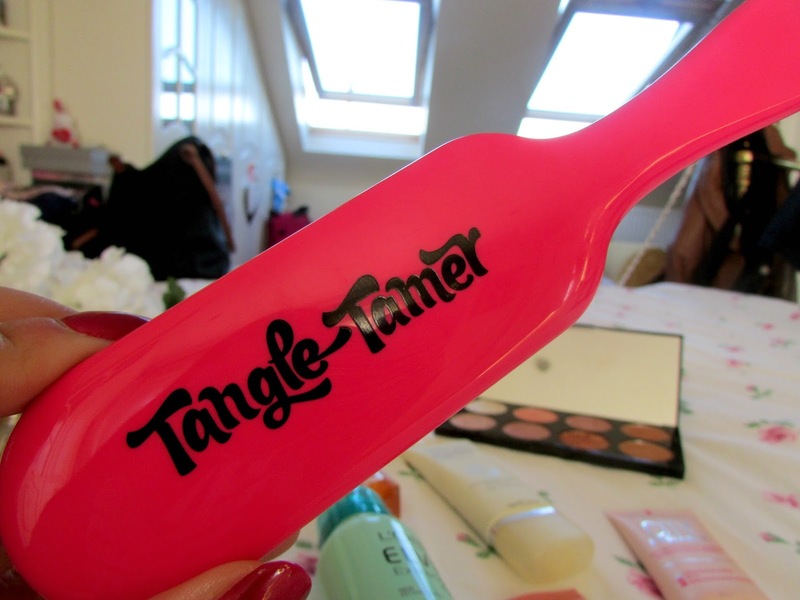 Tangle Tamer: I don't get along with the tangle teezer at all. I just find it breaks my hair too much and I just really dislike it. I know some people swear by it but I just don't. I do however prefer the tangle tamer which can be found in boots. I just find it glides through my hair, doesn't leave it feeling broken and damage and gets rid of the knots without causing significant head injury. It's also amazing for use with wet hair too. 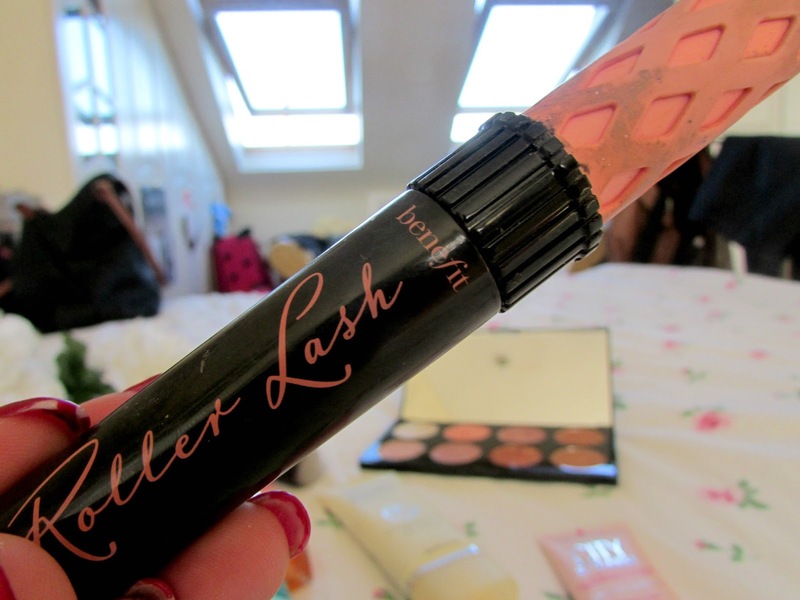 Benefit's Roller Lash Mascara: I can't physically live without this mascara. It's just incredible. If you love your eyelashes to be really fluttery and have a pretty curl then this will be for you. It's just perfect for day time or the evening. It's pretty much the only mascara I use and I think this is my 4th or 5th tube of it now. I just adore it. I know in superdrug sometimes near the counter they sell mini samples so if you want to try before you buy there's your chance. I'd highly recommend it. Kate Moss Lipstick: I recently bought one of Kate Moss's 15th Anniversary lipsticks. I plan on doing a full review once I've used it a bit longer but on first impressions it's absolutely incredible. Kate Moss lipsticks are not really lipsticks I've ever used before but I have heard a lot of good things about them and then I spotted these in superdrug. I mean just look at that packaging?! Yep, I'm still not over the rose gold obsession but it's an amazing lipstick, lasts all day and is a beautiful color. Watch this space for a full review. 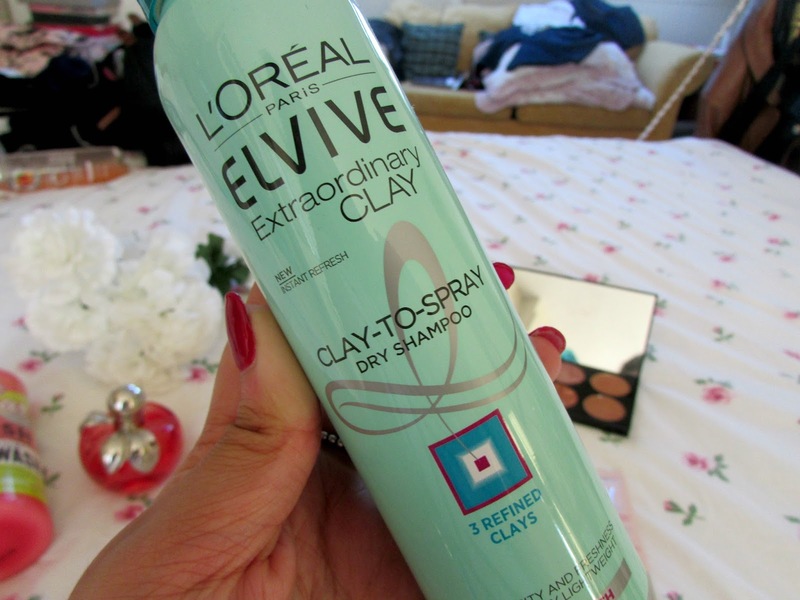 L'Oreal Extraordinary Clay Dry Shampoo: I'm not one to usually use dry shampoos however on those days when you're in a bit of a hurry and just need to quickly refresh your hair then this is perfect. It really does make it look less greasy and I find my hair has a lot more volume and is a lot easier to style. I've done a review of this product as well as more in the Extraordinary Clay collection HERE. 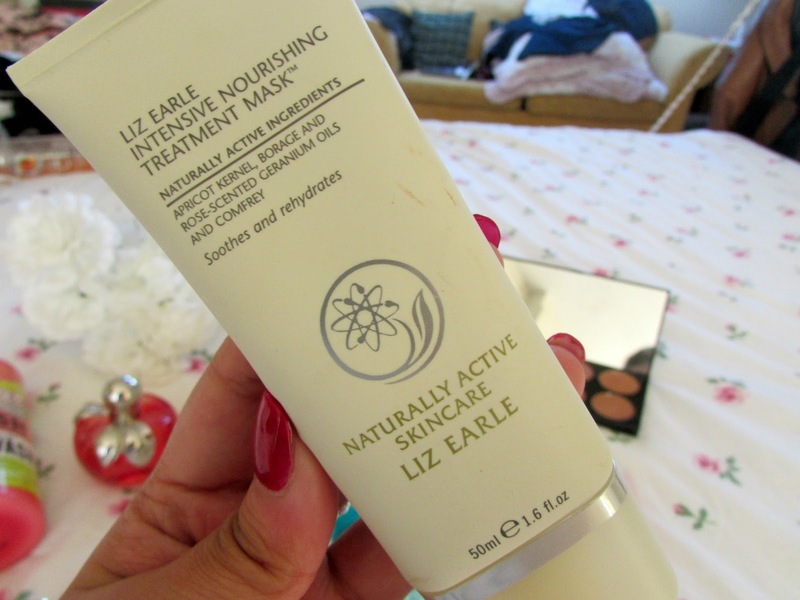 Liz Earle Intensive Nourishing Treatment Mask: Liz Earle has been one of my favorite skin care brands for as long as I can remember. Their cleanse and polish is a staple in my skin care routine and something I never really go a day without using. However I am absolutely obsessed with this mask. It really improves the texture of my skin and draws out all those impurities. It's just an incredible mask. I have done a full review over HERE if you want to find out more about this mask. 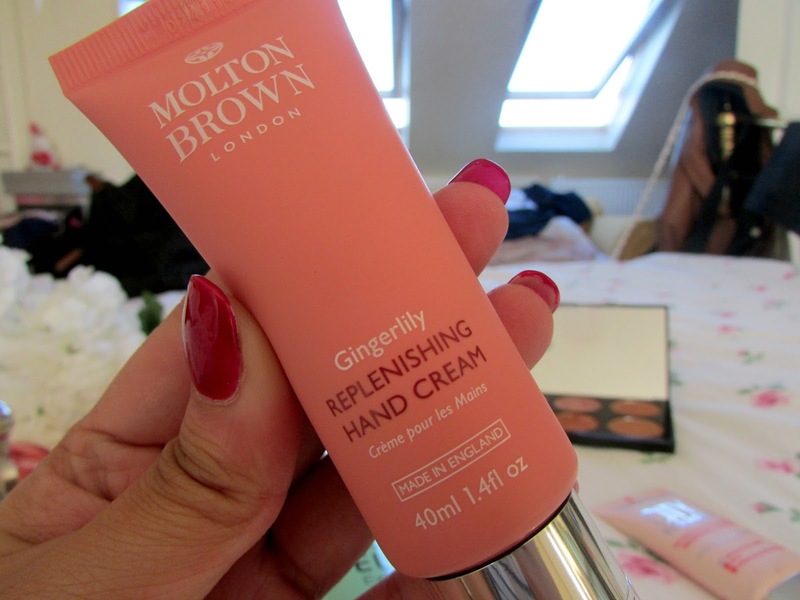 Molton Brown Ginger Lily Handcream: I am obsessed with these hand creams. I've never really used Molton Brown products before and over Christmas I was after some hand cream because it was winter and I get horrifically dry hands. I spotted this in duty free in the airport where I work in beautiful gift set with two other creams and I had to buy it. They are so moisturizing and just smell incredible! I'd highly recommend them. 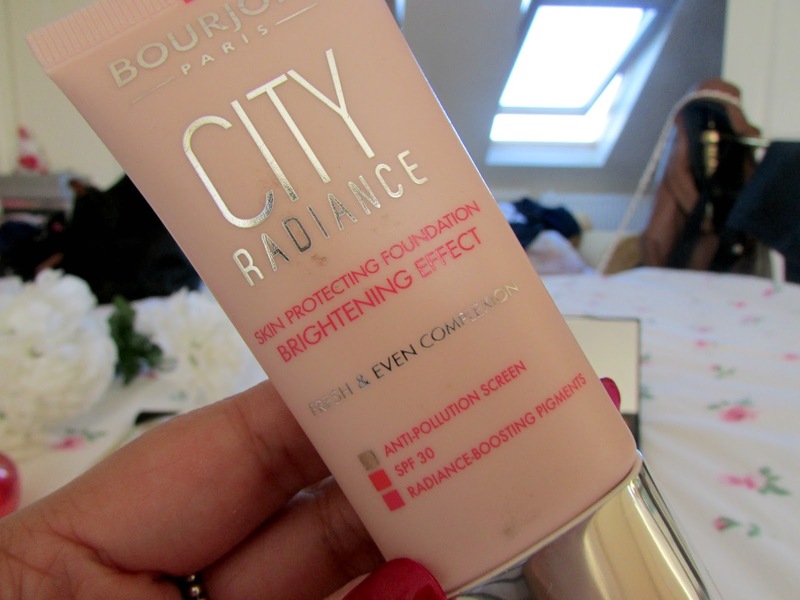 Bourjois City Radiance Foundation: I'm all about making my skin look super radiant and glowy and this foundation just ticks all the boxes for me. It's incredible. I find my skin is really fresh looking and my complexion is really evened out. It's definitely a product I consider to be super underrated in the beauty community at the moment. 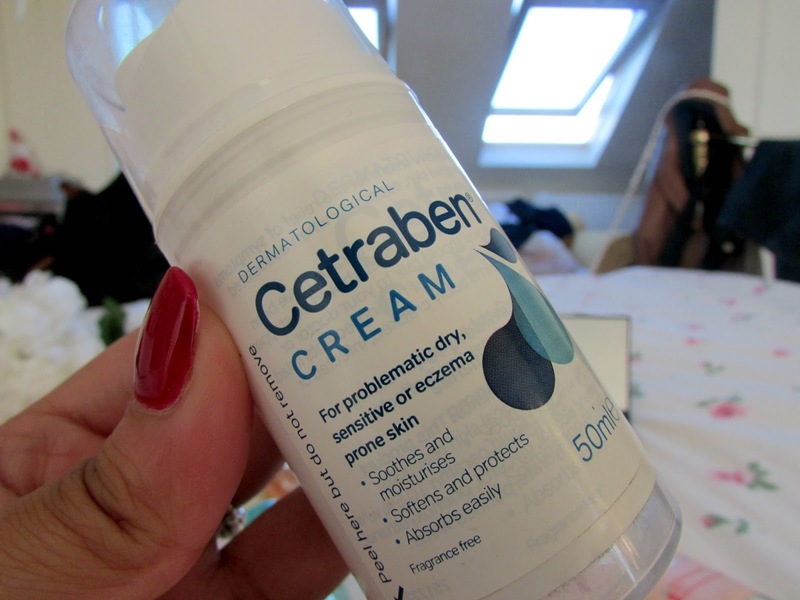 Cetraben Cream: The lovely Em Sheldon from EmTalks sent me this product as me and a few others won a giveaway she was doing on her blog and this cream has honestly changed my life. It's just so hydrating and really makes my skin look so glowy and smooth. My legs have honesty never looked better since I've used this. I've got a full review coming on my blog soon so make sure you watch this space. Barry M Watermelon Gelly Hi-Shine Nail Paint: I've been obsessed with the Barry M Gelly Hi Shine Nail Paints since they came out. I just think they are incredible. They are so super shiny on the nails, they last a really long time and come in an incredible selection of colors. I think I own practically every one now but one of my favorites is this beautiful pink in the shade watermelon. I just think this is perfect for popping on your hands and toes if you're heading off on holiday this summer. 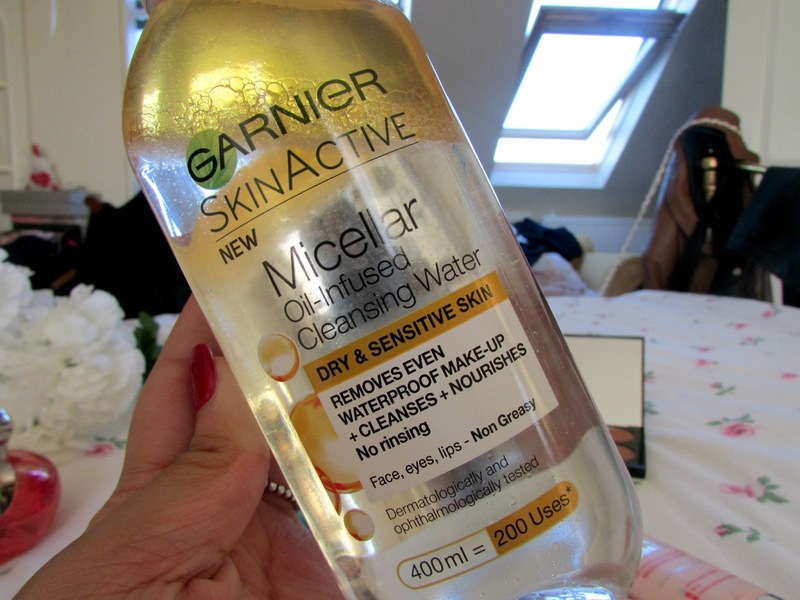 Garnier Miceller Oil Infused Cleansing Water: This is another product I will be doing a review of soon. I've only been using it for a few weeks but I must admit that it's incredible. I'm a huge fan of the original Garnier Miceller Water and I was desperate to try it out even though I was a bit skeptical at first and I absolutely love it. I find it gets rid of makeup so much easier and is especially good at getting rid of stubborn eye make up. It's also really gentle on the skin too and doesn't feel too oily. Definitely something I'll be repurchasing in the future. Nini Ricci Perfume: My mum's Aunty bought this perfume for me recently and I absolutely love it. I absolutely love the packaging. I mean anything related to apples is always a winner in my books. It also smells incredible. I always get compliments when I wear it. If you like perfumes that contain notes of apple tree, musk and peony then this is definitely for you. I love anything that smells a little like apples so this is perfect for me. So there we have it. All of my current favorite products and products that I think everyone should be using this summer as they are all incredible and not too heavy for this time of the year. They are perfect. Let me know if you love any of these products and be sure to let me know your opinions in the comments below. I hope you have enjoyed this post. What are your currently must have beauty products?